UNITED NATIONS, Apr 26 2016 (IPS) - As the campaign for a new UN Secretary-General (UNSG) gathers momentum, there is one lingering question that remains unanswered: does the now-defunct Eastern European political alliance have a legitimate claim for the job on the basis of geographical rotation? Of the nine candidates in the running, seven are from the former Eastern Europe. All previous secretaries-general have come from the four other regional groups, including Africa, Asia-Pacific, Latin America and the Caribbean and Western Europe and Other States. But none from Eastern Europe, which exists as a geographical entity only within the precincts of the United Nations. After the end of the Cold War in 1990-1991, Eastern European nations joined either the European Union (EU) or the North Atlantic Organisation (NATO), or both. These include: Bulgaria (joined the EU in 2007), Croatia (2013), Czech Republic (2004), Estonia (2004), Hungary (2004),Latvia (2004), Lithuania (2004),Poland (2004), Romania (2007), Slovakia (2004) and Slovenia (2004). And four countries awaiting membership in the EU include: Albania, Montenegro, Serbia and the former Yugolav Republic of Macedonia. Jayantha Dhanapala, a former UN Under-Secretary-General for Disarmament Affairs and a one-time candidate for the post of Secretary-General, told IPS the end of the Cold War has transformed Eastern Europe from a political and geographical entity to a purely geographical group. “Many of the East European countries are in NATO and the EU and their interests are closely linked to Western Europe – although some strains are showing in the wake of economic pressures and the recent migrant waves. He said the principle of “geographical rotation” with regard to the UNSG position is therefore less strong than the vitally important gender equality criterion. “The appointment of a competent and qualified woman as SG is therefore essential,” said Dhanapala, who lost out to Secretary-General Ban Ki-moon nine years ago. Eastern Europe should rightfully be an integral part of Western European and Other States. But the geographical group continues to exist at the UN purely to claim seats, including as non-permanent members of the Security Council, under the banner of Eastern Europe, according to some diplomats. At elections for subsidiaries of the UN Economic and Social Council (ECOSOC) last week, Belarus got a seat in the Statistical Commission purely on the basis of its non-existent Eastern European credentials. So did many others: Estonia in the Commission on the Status of Women; Belarus and Montenegro in the Executive of UN Women; Romania in the Committee on Economic, Social and Cultural Rights and Albania and Moldova in the Executive Board of the UN Development Programme (UNDP)/ UN Population Fund (UNFPA)/UN Office for Project Services (UNOPS). Since the creation of the UN over 70 years ago, the post of Secretary-General has been held by: Trygve Lie of Norway (1946-1953); Dag Hammarskjold of Sweden (1953-1961); U. Thant of Burma, now Myanmar (1961-1971); Kurt Waldheim of Austria (1972-1981); Javier Perez de Cuellar of Peru (1982-1991); Boutros Boutros-Ghali of Egypt (1992-1996); Kofi Annan of Ghana (1997-2006); and Ban Ki-moon of South Korea (2007 through 2016). The nine candidates for the post of UNSG who made their presentations to delegates recently include: Dr Srgjan Kerim of the Former Yugoslav Republic of Macedonia; Ms Vesna Pusic of the Republic of Croatia; Dr Igor Luksic of Montenegro; Dr Danilo Turk of Slovenia; Ms Irina Bokova of Bulgaria; Ms Natalia Gherman of the Republic of Moldova and Vuk Jeremić of Serbia – all from the former Eastern Europe. The two non-Eastern Europeans who are in the running include Helen Clark of New Zealand and Antonio Guterres of Portugal, the former from a Pacific nation and the latter from Western Europe. When Clark was asked about Eastern European claims, she told reporters: ”When nominations were called for from Member States, they were called for from all Member States”. Currently, the strongest claims for the jobs are from women candidates. Although the UN is one of the strongest advocates of gender empowerment, only three women have so far been elected President of the General Assembly, the highest policy making body at the UN: Vijaya Lakshmi Pandit of India (1953), Angie Brooks of Liberia (1969) and Sheikha Haya Rashed Al Khalifa of Bahrain (2006). With women comprising half the world’s 7.2 billion people, the move to install a woman is perhaps the most legitimate of the claims. James Paul, a former executive director of the New York-based Global Policy Forum who monitored the politics of the UN for nearly 19 years, told IPS there is the important question of whether a woman will finally be chosen for the post and the secondary issue of whether the East European bloc will be represented. As for the longstanding complaints about secrecy, the recently-announced “open process” and “dialogues” with candidates, provide a small step forward in what has always been an outrageously secretive procedure, he said. This year, as in the past, the Secretary General will effectively be chosen by the “P-5,” the five Permanent Members of the UN Security Council (the US, UK, France, China and Russia), Paul pointed out. “As in previous years, there will be little reference to the will of all the other countries, the concerns of the world’s people or the pressing leadership needs of the organisation. Polite conversation in the General Assembly will not stop the P-5 juggernaut,” he argued. “The P-5, with Washington always in the lead, has a record of choosing weak and compliant candidates for this post – people who will reliably cater to the interests of the powerful and agree to a weak and relatively inactive UN,” said Paul, an onetime writer and consultant on several projects with Human Rights Watch, Oxford University Press and Physicians for Human Rights. The selections of Secretary General in 2006 and 2011 showed clearly that strong and dynamic candidates are set aside, that poor performance in the job is no barrier to re-election, and that the overwhelming majority of member states – even those sitting on the Security Council – have almost no influence over the outcome, he declared. “Could this despotic arrangement be changed in favour of a more democratic process and a far better end-result?,” he asked. Paul said no small-scale, incremental reforms will do. Excluded governments and ignored citizens will have to say “no” in this round and again five years from now. But in the meanwhile, can the UN survive as the climate clock ticks towards midnight?, asked Paul. Samir Sanbar, a former UN Assistant Secretary-General who headed the Department of Public Information (DPI) told IPS the Eastern European Group was initially a political alliance supporting the former Soviet Union balancing Western Europe and Other States. 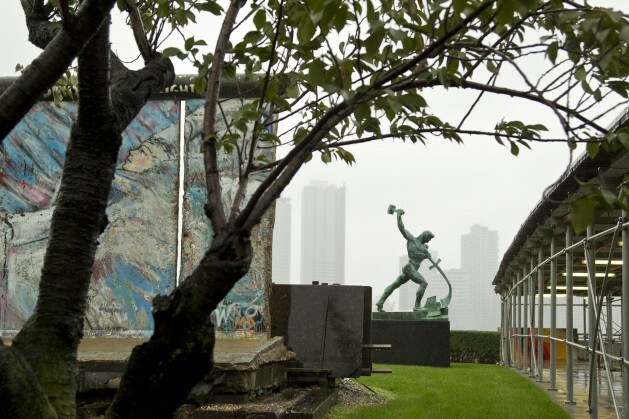 While political lines were scrambled with the fall of the Berlin Wall, it seemed politically expedient to interpret it geographically mainly for balancing purposes, he added. “Some would push the boundaries around to interpret it in general European terms,” he noted. Geographical rotation was obviously not essential in electing two Scandinavians successively (Trygve Lee and Hammarskjold), he pointed out. And a third European, an Irish General Assembly President, was in line when an Asian, U Thant became a surprise candidate, by a practical consensus, initially as “acting” UNSG, said Sanbar who served under five different UN secretaries-general. When U Thant refused a second term “as a glorified clerk” it was not extended to another Asian. Instead Kurt Waldheim of Austria was elected. While African diplomats presented Salim Salim of Tanzania to succeed him on geographical grounds, a Latin American Javier Perez de Cuellar was elected in a last minute vote in 1982. As long as geographical groupings remain, however nominally, Eastern European candidates would naturally stake an obvious claim, said Sanbar. But qualified women from anywhere in the European continent would have a more credible claim, he declared.